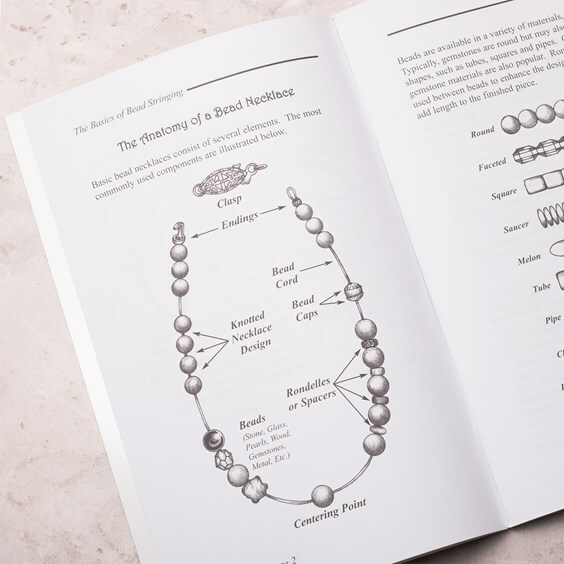 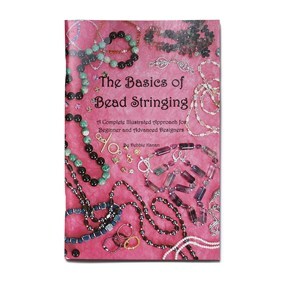 'The Basics of Bead Stringing: A Complete Illustrated Approach for Beginner and Advanced Designers' by Debbie Kanan is a comprehensive guide to all the techniques you are likely to need to get your beading hobby underway! 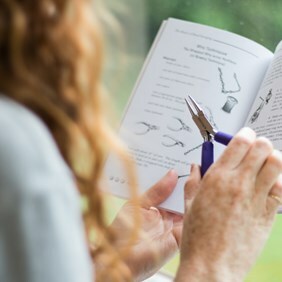 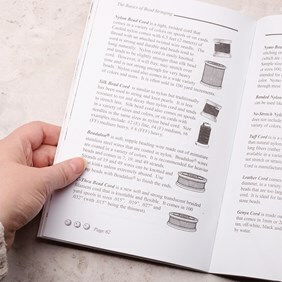 It is packed full of clearly illustrated techniques (mostly presented in the form of projects) so you can use the book to build your skills as you work your way through, or dip in and out to learn any new skills you may need when your creativity and ideas outstretch your knowledge! 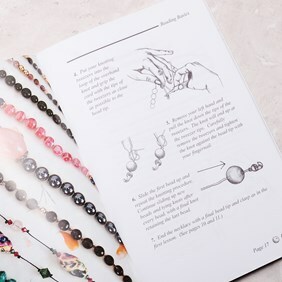 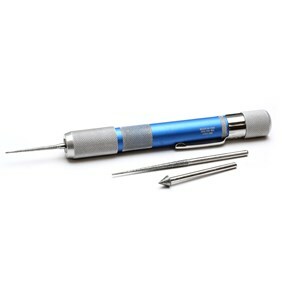 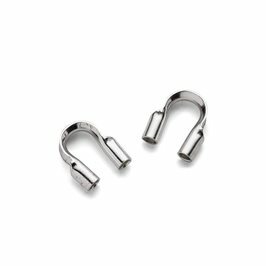 Whether you are interested in stringing and knotting, finishing necklaces using findings, wire wrapping, stitching techniques using seed beads or knotting techniques for thicker leather and satin cords this has it all and more. We started selling this book in 1997 so we have seen a few different cover designs, updates to the contents and even new authors but it continues to be one of our most recommended and best-selling books.